To some of you out there, the title of this blog might look like a foreign language or something written in a secret code. Unless you happen to be 13-years-old, in which case you’d know exactly what the pound sign in the title is. Teenagers are apparently born knowing about these mysterious doohickeys, but some of us older folks might need an explanation. Hashtags are a relatively new way of tagging or labeling pictures, articles, and information online. All other pieces of information with the exact hashtag will be grouped together. What is a hashtag? Think of it as an online filing system. For example, you might use the hashtag #ilovefridays on a photo of you and some friends walking into a restaurant that you post to a social media sharing page. You could go back and click on your hashtag, and hundreds, maybe thousands of other photos and posts would pop up that have been labeled the same way. It’s just a way to link information. So now that you’re armed with an explanation of hashtags, let’s get back to the title of this blog: #CleanDarkFlat. If you’ve followed the Turtle Talk blog over the past couple of months, then you might be nodding your head in understanding by now. These are the three ways that Friends of South Walton Sea Turtles want everyone to leave our beaches. 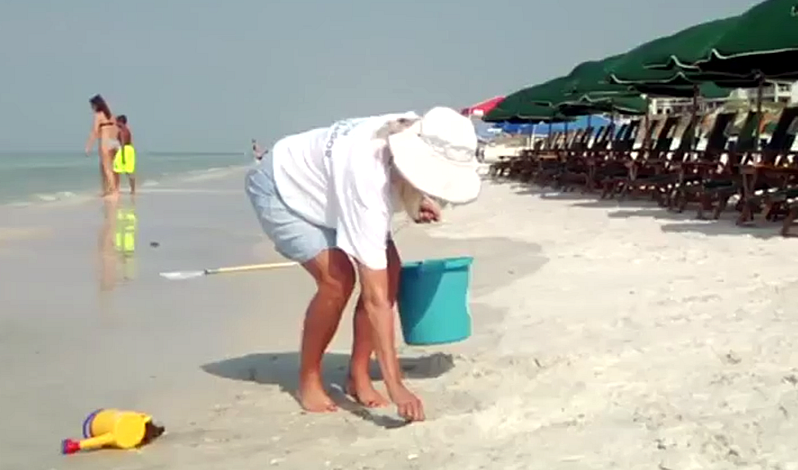 Clean them up as you leave by taking all your beach gear and trash with you. 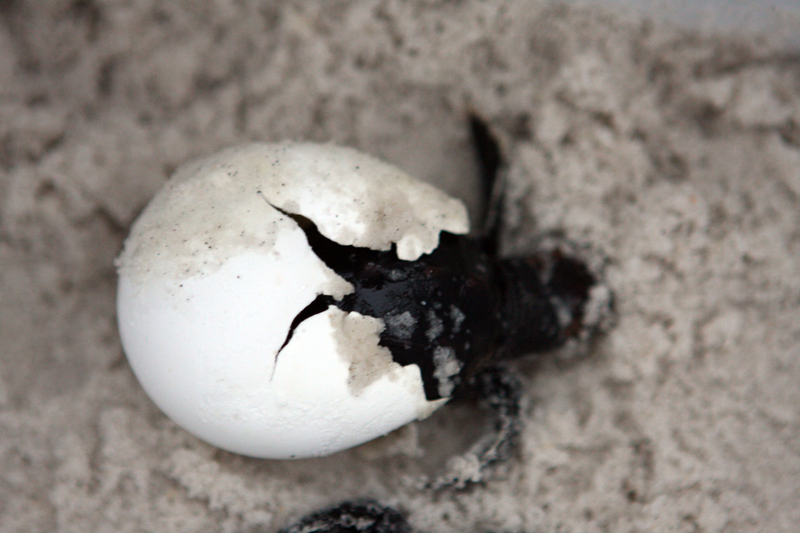 This not only protects turtles and other sea life on the Beaches of South Walton from possibly eating or getting trapped on something you’ve left behind, but it also helps keep mama turtles on track when they’re coming ashore to lay their eggs. And keep it dark. Dark as a dungeon. 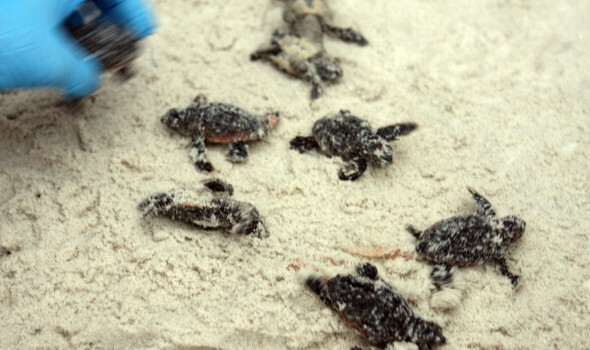 Any flickering light can mislead new turtle hatchlings and cause them to head in the wrong direction when they’re struggling to make it to the Gulf. We also like our beaches to be flat. No holes or large sculptures left behind. The poor mamas can get stuck in a hole, and holes can disorient the babies. Keep the beaches clean, dark, and flat. That’s our new mantra. Following these three simple rules will undoubtedly save countless turtle lives over the years. They also help all of our sea life to live in a natural, undisturbed environment. So, to get the word out, we’re going to be using our sparkling new hashtag, #cleandarkflat. When you’re following us on social media like FaceBook, Instagram, Twitter, and Pinterest, look for this hashtag and smile. It’s like a secret code among turtle lovers. But it’s a secret we want you to share. **Don’t forget to sign up for our newsletter this week for a chance to win Sheldon, the stuffed toy cousin to our ambassador “Shelly.” You know, the one from #WhereIsShellyWednesday. Everyone who signs up before the end of the day n April 11th will be entered for a chance to win. The drawing will be held at the Friends of SoWal Sea Turtles booth at the Earth Day Celebration this Saturday, 4/11, at the E.O.Wilson Biophilia Center in Freeport.